Yes, every single one of these products on the following pages was on display at the Coverings show. Many miles were walked on the show floor, by NTCA staff, so you didn’t have to. But, we couldn’t be everywhere. Did you see something at Coverings that blew you away with its beauty or functionality or ability to improve your business? Send a photo and a short blurb complete with website, and we’ll print it in an upcoming issue. Confindustria Ceramica (the Italian Association of Ceramics) named Atlanta-based tile and stone distributor Ceramic Technics Ltd. as the 2016 Confindustria Ceramica North American Distributor Award. Ceramic Technics Ltd. emerged as this year’s winner due to its 28 years of high-level service as an importer and distributor in the commercial sector, characterized by a close attention to detail and keen understanding of the distinctive qualities that Italian ceramic tile offers. Other factors decided by the Supervisory Committee who made the decision included consistency, exemplary service as an Italian tile importer and distributor, a high-caliber corporate image, inclination towards Ceramics of Italy products, and fair trade practices in relation with Italian manufacturers. The Supplier of the Year award, which is voted on by the Ceramic Tile Distributors Association (CTDA) members, recognizes domestic and international supplier(s) who provide the most value to its distributor members and the ceramic tile and stone industry. 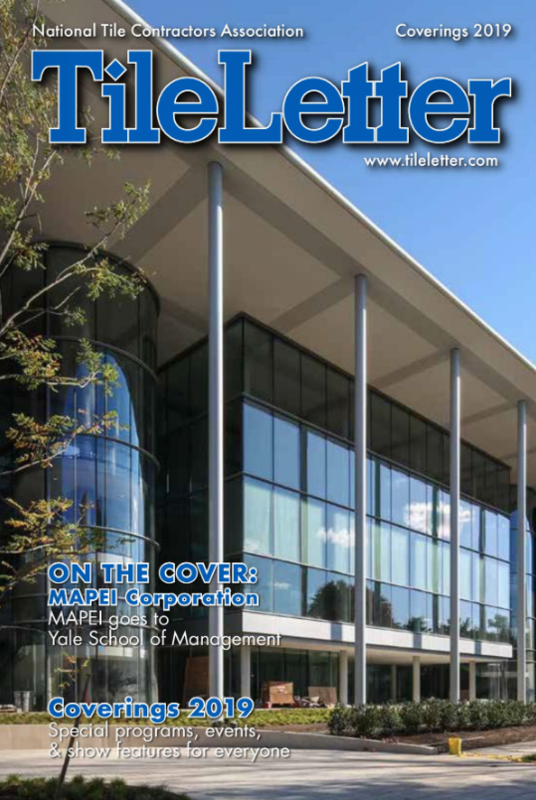 The award this year went to MAPEI, international manufacturer of tile and stone setting systems. Rick Church, executive director of CTDA (l.) with Luigi Di Geso, president and CEO of MAPEI, are shown with the Supplier of the Year award. Atlas Concorde, a global leader in the ceramic industry founded in Italy in 1969, has launched Atlas Concorde USA, a ceramic and porcelain tile brand created to blend true American heritage and tradition with Italian cutting-edge design and excellence. Atlas Concorde USA opened its headquarters and showroom in Franklin, Tennessee, to better establish and strengthen American customer relationships built on trust, loyalty and honesty. The lines will focus on aesthetic appeal with excellent technical performance. “All our products will be proudly made in America,” said Atlas Concorde USA, president, Maurizio Mazzotti, emphasizing a dedication to high manufacturing standards that have distinguished its brand. “Our goal is to enhance American living spaces with these innovative U.S.-inspired surfaces,” said Mazzotti. The company launched 16 new collections manufactured at this plant, which “were designed and created following the U.S. market’s style and trends, to combine history and traditional feel with the latest interior design styles.” More info at www.atlasconcorde.it. Only two years after opening its U.S. production facilities, Del Conca USA, a subsidiary of Italy-based Del Conca Group, has put in motion plans to double its capacity of porcelain tile production at its Loudon County, Tenn., plant from 32 to 65 million sq. ft. per year. The expansion was announced during the Coverings show in Chicago by Enzo Donald Mularoni, CEO of the Del Conca Group. He noted that the expansion will mean new jobs for the community with an increase of about 40 new local employees to the currently employed 85, and will utilize Italian technology in the plant – “making it a perfect combination of Italian and American talent,” he said. The expansion, with work expected to begin during the second half of 2016, and production to start in early 2017, involves a further investment of 30 million USD both for construction and the purchase of new Italian technology. The plant will expand in size from 320,000 sq. ft. to 430,000 sq. ft.
Wonder Porcelain Group, LLC, distributes tile nationwide from its corporate headquarters and distribution hub in Plano, Texas, with additional distribution centers in Florida and California. Part of Dongguan City-based Marco Polo Group – one of China’s largest tile manufacturers – domestic manufacturing is set to start in late 2016 at the state-of-the-art 150-acre plant in the Cherry Farm Industrial Park in Lebanon, Tenn., now under construction. The advantageous location was selected due to its proximity to Interstate 40 and other transportation routes, and necessary resources and raw materials. The 500,000-sq.-ft. plant will add more than 200 new jobs to the area. The company is under the direction of Michael Kephart, CEO, and Laurie Lyza, director of marketing. All products are certified as porcelain by the TCNA’s Porcelain Tile Certification Agency and tested by TCNA to verify performance standards. For details, visit www.wonderporcelain.com. Last year, NTCA launched a new feature on its website: the NTCA Consensus Documents Library. To visit this excellent resource, click here. This new resource puts critical documents at your fingertips, including position statements and white papers on a range of industry issues on underlayments and subfloors, tile assemblies and grout joints, and types of tile. More papers will be added as they become available. Membranes – Specifically Cleavage Membranes, Crack Isolation Membranes, Waterproof Membranes & Moisture Barriers, Uncoupling & Anti-Fracture Membranes, and Vapor Barriers – Citings from the American National Standards Institute (ANSI) A-2.1.8 and A118.10. Use of Felt and Similar Products as Crack Isolation Membrane. Citings from the American National Standards Institute (ANSI) A118.12. Movement Accommodation – An overview of the Tile Council of North America (TCNA) Handbook Standard EJ-171. Spot Bonding – Citings from ANSI Standards A108 .01 2.6.22, A108.5, and A118. Also cited TCNA Handbook Standard W260. Position Statement on Thin Porcelain Tiles, a collaboration of the National Tile Contractors Association (NTCA), Tile Contractors Association of America (TCAA), International Masonry Institute (IMI), and the International Union of Bricklayers and Allied Craftworkers (IUBAC). In the spirit of education and information sharing, NTCA offers this resource as a free service on its association website. This page also offers you the opportunity to add a document to the Consensus Document Library or ask NTCA a question directly. Also available on this page is the ability to order a TCNA Handbook or ANSI Standards Manual and to view the entire online installation standards and specification manual selection for purchase. Visit it today! If you have visited either the NTCA Online Store or been on the NTCA University site recently at www.tile-assn.com, you will notice that we have changed the logos for each of the course types. We realized quickly that it was very difficult to differentiate all of the course types at a quick glance since each had a very similar logo. While these may eventually change in the future, for now we changed the background on each of the course types so that you can quickly find the courses available in your category. The Apprenticeship Program now has a yellow burst in the logo. These courses currently include the Finisher Apprenticeship Program. Once complete, these courses will be available in six-month increments: orientation, task, skill, and finally management and tile helper courses. For example, there are approximately 40 modules that make up the orientation courses so instead of listing all 40 classes separately, they will be available as one purchase through the NTCA Online Store. Appropriately so, we chose the color green for our Business Courses. These courses range from accounting basics to Internet marketing to negotiation skills to hiring strategies to workplace diversity. There are many more courses that will be added over time to help a business owner run a successful business. The Continuing Education courses now have a purple burst in the logo. The courses are AIA and IDCEC accredited for architects and designers. But that does not mean that these courses are only for their use. These courses should be viewed by individuals looking to educate their staff on topics such as backer boards, large-format tile, or water management. Installation & Sales represents the newest category of courses, and this category has an orange burst in the logo. We realize that many of our members need courses for new hires or training personnel who aren’t tile finishers or setters, or who may need a refresher course or curriculum to address new technology. All of these topics fit under Installations & Sales training. While many of these courses will initially be similar to some of the apprenticeship courses, over time we will be adding courses that do not fall into the apprenticeship category. Instead of scrolling through the whole store, you can now quickly glance through looking for the color logo that you are interested in viewing. Visit the NTCA Online Store to see courses that are currently available. If there is a course that you would like to see available, please send me a quick e-mail at [email protected] so that we can begin to prioritize our members’ needs. Professional Consultants International, LLC and PROCON Consulting Architects, Inc. 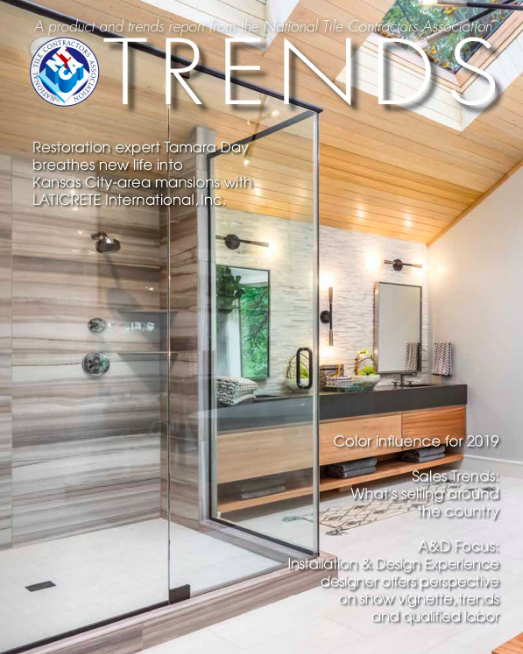 In the first article on this subject, I provided an update on large-format porcelain tile panel technology, and its emerging use as a mechanically attached cladding panel in exterior rainscreen building façade construction. The overall technical concepts of rainscreen wall systems were also summarized. In this installment, I will focus on the detailed technical issues associated with this new technology, and the challenges to tile contractors who choose to grow their business with this emerging porcelain tile technology. Fig. 1 Details of prefabricated porcelain panels. Porcelain panels – Most quality porcelain rainscreen systems utilize panels that are completely pre-fabricated and delivered ready to install (Figure 1). In our design practice, we avoid any manufacturer’s system that allows field fabrication of such precision wall systems. The cutting of each panel, many with unique and precise dimensions, and the precision required for drilling and setting mechanical anchors (Figure 2) dictates that the majority of porcelain panels be pre-fabricated under controlled factory conditions to deliver a high-quality, durable wall system. Fig. 2 Precision attachment detail for lower portion of panel, allowing for expansion, contraction and structural movement. 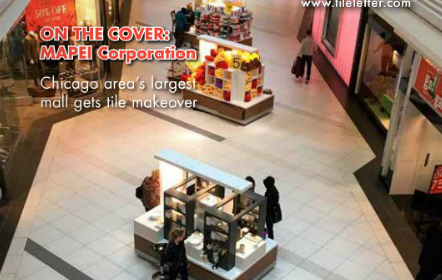 Many tile contractors are already familiar with large-format thin tile (a.k.a. LTPT or “gauged large format porcelain tile”), and understand the specialty equipment and training necessary for proper delivery, handling and installation of such panels for interior walls and flooring. Depending on the size of porcelain panels used in exterior rainscreen walls, such equipment may also be necessary in addition to specialty hoisting sub-frames and lift equipment. Safe handling is especially critical, not only due to the expense of each panel, but in many cases due to the unique dimensions of each panel (you can’t just take another tile from the box!). Structural support framework – as with the porcelain panels, the majority of the aluminum framework used to support the porcelain panels is typically proprietary and provided pre-fabricated by the manufacturer; we likewise avoid manufacturer’s systems that rely on stock framing components and allow contractors to construct solutions in the field that have not been engineered or vetted by performance testing in the laboratory. Fig. 3 Tile contractor training session for aluminum framework and porcelain panel installation procedures. The proper installation and alignment of the supporting framework is the most crucial aspect in the construction of porcelain panel rainscreen wall systems. This is a significant departure from the “brick (tile) and mortar” skills typical of the tile trades, and requires skill and training in metal framing procedures (Figure 3). Again, based on experience, I only recommend considering manufacturer’s systems that provide fully pre-engineered and pre-fabricated proprietary supporting framework. Similar to the porcelain panels, capabilities to understand and manage both the engineered shop drawings and the architect’s detail drawings are critical, especially due to the interfaces with other building systems such as the alignment with windows and attachment to the underlying structural wall components. Figures 4 and 5 – Installation of porcelain rainscreen panels in progress, revealing ventilated air cavity and air, moisture and vapor (AMV) barrier installed by others. Note this project did not require any outboard continuous insulation. On many projects, the manufacturer’s engineer would coordinate efforts to evaluate the architect’s details and provide engineering requirements for attachment of the supporting framework to the back-up wall. Similarly, on many projects, the installation of the AMV would be performed by a waterproofing contractor in advance of the rainscreen wall system (Figures 4 and 5), and the project may or may not require external continuous rigid insulation (Figure 5). However, the manufacturer of the wall system is not responsible for providing those materials. In some cases, though, general contractors prefer the sub-contractor responsible for the installation of the porcelain panel rainscreen wall system to also coordinate and install the AMV, insulation, and all flashings (Figure 6) for single source responsibility. Fig. 6 Coordination of installation with base of wall flashing and interface with cast stone base specified to avoid snow removal damage at base of columns. Shop fabrication and erection drawings – In our design practice, we find that the biggest challenge for tile contractors, aside from specialized equipment and training required for handling and installation of these systems, is developing the resources and capabilities to understand and manage the crucial role of shop fabrication and erection drawings. Most quality porcelain rainscreen system manufacturers provide for and supply engineered shop drawings in the cost of their system, so tile contractors only need to concentrate training / human resources required to effectively manage the process. This not only includes technical capabilities for interaction with the manufacturer, their engineers, and the building architects, but also the logistics required for panel delivery, marking and sequencing logistics. The allocation of human resource time alone is probably the most underestimated task required for successful porcelain panel rainscreen wall systems. Needless to say, the above considerations are not only important to construction, but also to bidding these types of projects. In the last installment of this series, I will review a case study of both completed and in-progress projects to provide more insight into actual construction. 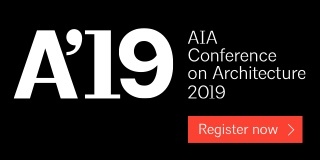 Richard P. Goldberg, AIA, CSI, NCARB is an architect and president of Professional Consultants International, LLC – Connecticut, and PROCON Consulting Architects, Inc. – Florida, both building design and construction consulting companies. Goldberg specializes in exterior building envelope systems, with sub-specialties in concrete, porcelain tile, natural & engineered stone, brick & concrete masonry, terrazzo, glass and waterproofing material applications. Goldberg holds National Council of Architectural Registration Boards (NCARB) certification, and is a registered architect in the U.S. in multiple states, including Connecticut, New York, New Jersey and Florida. He is a professional member of the American Institute of Architects (AIA) and the Construction Specifications Institute (CSI). Goldberg participates in numerous tile industry standards committees, is a National Tile Contractor’s Association (NTCA) Recognized Industry Consultant, and received the prestigious NTCA Ring of Honor Award in 2014. As both an individual business owner and a territory manager for Schluter, Trent has been a strong proponent of certification. “I discuss certification at the beginning of every class I host, as well as with everyone I come in contact with, whether they are in the industry – installers, designers, sales, code enforcement, architects – or simply project owners,” Trent said. Certification is an important step to showing customers your value as a tile installer. Being a CTI sets you apart from your competition and shows a willingness to go above and beyond. “At the time of my certification, I was CTI #277; meaning, there were only 277 of us nationwide. This made it difficult for it to mean something to the broader audience,” Trent said. “That has changed and we are now seeing projects that either recommend or require certified [tile] installers…Ultimately, through certification, the industry is providing end users a better product and increasing consumption of tile.” And this can only mean good things for the tile industry. The Club at Ibis in West Palm Beach, Fla., is the world’s only private country club community with three Nicklaus-designed golf courses. During recent additions and renovations to this world-class facility, the design team sought a grout that is more stain resistant than cementitious options, but less expensive and easier to use than typical epoxies. Specifiers selected a complete system from CUSTOM featuring Fusion Pro® Single Component® Grout – the stain-proof grout – to provide ultimate protection against stains in these high-profile public spaces. Subfloors for the Club at Ibis were first leveled with CUSTOM’s LevelQuik® RS, then large and heavy tile was set with VersaBond®-LFT. A complete system of CUSTOM tile installation products was specified and used to prep, set and grout tile in the new 80,000-sq.-ft. clubhouse, including formal entries, cultural event spaces, spa-like bathrooms and bar areas. To guard against cracks potentially transmitting up into the tile assembly from the subfloor, CUSTOM’s RedGard® Waterproofing and Crack Prevention Membrane was rolled onto horizontal surfaces. All of the tile throughout the property was grouted with Fusion Pro – which is guaranteed stain-proof and color perfect – and never needs sealing. This revolutionary, patented formula features unsurpassed stain resistance, plus it’s ready to use and easy to spread and clean. Because Fusion Pro is cleaned immediately after application, installers found that this grout is particularly well suited to a team approach, which further increases speed. On large projects, CUSTOM recommends that one installer spreads the grout, another uses the slurry to shape the joints, and one or two teammates clean the tile with a grout sponge and a microfiber towel. Since no mixing or set-up time is needed, the team at Ibis was able to quickly continue this process across expanses of tile. Based on the type of tile, Aqua Mix® Grout Release was applied before grouting to ease grout clean up. CUSTOM’s Fusion Pro® grout was selected for the project based on its stain resistance and ease of installation compared to typical epoxies. A 3- or 4-person team installed the grout quickly with each person performing a different task from spreading to cleaning. The main public areas of the clubhouse were tiled with 18” x 36” porcelain, and bathrooms received 12” x 24” porcelain on both floors and walls. These large-format tiles were set on floors with CUSTOM’s VersaBond®-LFT Professional Large Format Tile Mortar. VersaBond-LFT is a polymer-modified mortar designed for use with large-and-heavy porcelain, ceramic and natural stone tile. With a non-slumping formula to eliminate lippage, Versabond-LFT can be applied up to 3/4” thick on horizontal applications and exceeds ANSI A118.4 and A118.11. Prior to tiling, surface preparation began by leveling low areas to achieve the stringent floor flatness levels required by an extra-large-format porcelain tile. Installers poured LevelQuik® ES (Extended Setting) Self-Leveling Underlayment over the substrate pre-treated with LevelQuik® Latex Primer. LevelQuik helps to eliminate common problems like bond failure and crumbling. It can be applied up to 1.5” in a single pour and can achieve an extra-heavy service rating. Tile and Marble Works grouted the showers in the women’s spa and other areas with CUSTOM’s Fusion Pro® Single Component Grout® delivering unsurpassed stain resistance and antimicrobial protection for the end user. All horizontal substrates were prepared with RedGard® Waterproofing and Crack Prevention Membrane. RedGard is a ready-to-use, elastomeric membrane that creates a continuous waterproofing barrier and reduces crack transmission in tiled floors. The larger the tile, the more important it is to use an appropriate membrane to protect against cracks transmitted by substrate movement. 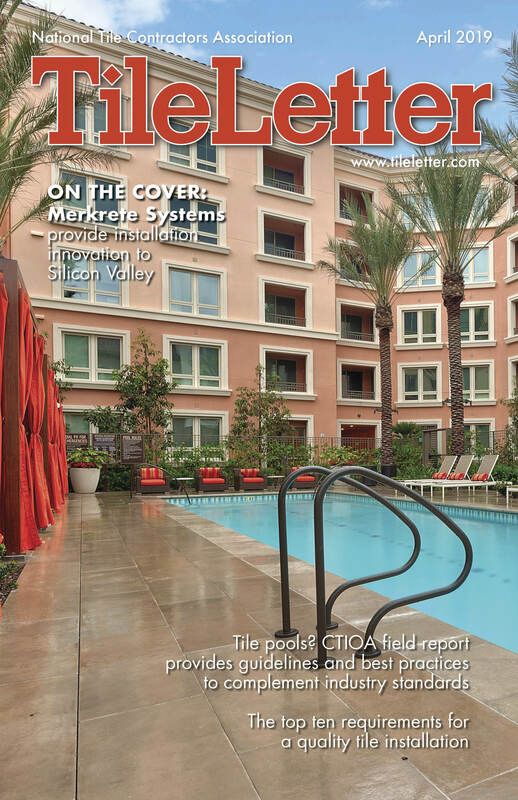 “We use RedGard all the time for both waterproofing and crack isolation,” said Drehmann. RedGard liquid membrane meets or exceeds ANSI A118.10 and A118.12, is IAPMO-approved for use as a shower pan liner, and exceeds requirements for a low-perm moisture-vapor barrier. Intermittently-wet areas such as bathrooms, locker rooms, showers and kitchen floors were treated with two waterproofing coats of RedGard. Water-soluble AquaMix® Grout Release was applied to the tile before grouting to make the installation process as fast as possible. ProLite® Premium Large Format Mortar was selected for installing all porcelain, glass and stone wall tile. Walls in bathrooms, locker rooms and bar areas were set with 12” x 24” porcelain tile to match the floors, and a combination of glass or stone mosaic trim. ProLite offers high flexibility and bond strength in a lightweight formula with excellent handling characteristics. This versatile mortar is ideal for hard-to-bond tile like porcelain and glass, and is non-slump on floors and non-sag on walls. A 30-lb. bag of ProLite offers the same coverage as a 50-lb. bag of traditional mortar because it is formulated with lightweight recycled materials that also contribute to LEED® certification. ProLite exceeds the requirements of ANSI A118.4TE, A118.15TE and A118.11. All showers were waterproofed with CUSTOM’s RedGard® Waterproofing and Crack Prevention Membrane. RedGard can be used as a shower pan liner and is approved for use in steam showers. VersaBond® was chosen to set the smaller tiles on shower floors as well as quarry tile and 12” x 12” textured ceramic tile behind the bar where potentially slippery conditions require tile with a high dynamic coefficient of friction. Movement and perimeter joints were filled with color-matching CUSTOM Commercial 100% Silicone Sealant for visual continuity and permanent flexibility. By ranking in the top 5% of private clubs, Ibis has earned Distinguished Emerald Club of the World status by BoardRoom magazine. Quality of life is at the core of this prestigious property, making Custom Building Products an ideal choice. During the grand opening, Jack Nicklaus presented the new clubhouse overlooking his own masterpiece course, The Legend. Members of Ibis enjoy the outdoors, spending a lot of time on the golf courses and an adjacent 12,000-acre nature preserve. When they enter the clubhouse from the links, Fusion Pro Grout is an active partner keeping the floors looking as pristine as the day they were set. Walls in the men’s locker room showers were tiled with a combination of glass and 12” x 24” porcelain set using CUSTOM’s ProLite® Premium Large Format Tile Mortar. The focal point of the country club, the Atrium, has a contiguous tile design that ties the various gathering spaces together. A classic color palette features Napoli Mill travertine porcelain with custom-made ninepin mosaic inserts. The diverse array of large-format porcelain, ceramic, glass and stone tile set at the clubhouse renovation was supplied by Ceramic Technics, DalTile and Walker Zanger. Construction on the Image Design project was led by The Weitz Company of West Palm Beach, Fla., and tile was installed by Tile & Marble Works, Inc. For their work on this project and others during the year, Marble & Tile Works were awarded 2015 Subcontractor of the Year by the general contractor. The Club at Ibis earned a 15-year tile installation system warranty based on the CUSTOM products used to create these elegant tile assemblies. A classic color palette was selected for the travertine porcelain and custom-made ninepin mosaic inserts. Because of the variety of tile types and sizes on the project, subfloors were leveled with CUSTOM’s LevelQuik prior to the installation of tile. LOCATION: West Palm Beach, Fla. ARCHITECT: Leo A. Daly, West Palm Beach, Fla. INTERIOR DESIGNER: Image Design, Atlanta, Ga.
GENERAL CONTRACTOR: The Weitz Company, West Palm Beach, Fla.
TILE CONTRACTOR: Tile and Marble Works, Lake Worth, Fla. CUSTOM BUILDING PRODUCTS TEAM: Nick Macrino, CSI, CCTS, CDT, CCSMTT, commercial architectural services representative; Patty Velez, CTC, territory manager; Larry Maura, CTC, regional technical services representative. 18” x 36” porcelain tile was set in a running bond pattern to minimize the potential for lippage between large tiles. CUSTOM offers a variety of large format tile mortars, such as VersaBond-LFT, which was used extensively on this project. Christine and John Kotara of J&R Tile. Christine is the CEO and John was the co-founder of the company in 1984, with his brother Raymond. Back in 1984, John Kotara and his brother Raymond, founders of San Antonio’s J&R Tile, Inc., chose NTCA membership, with the intent of emphasizing professionalism, education and industry collaboration of its tradesmen and participants. Today, 32 years later, following in her father’s footsteps, director of operations Erin Albrecht has taken the lead on continuing J&R’s focus of educating the staff and the industry. Christine Kotara oversees the operation as CEO. This current generation of J&R Tile leadership has taken participation to the next level, with dedication to certification, NTCA State Directorship, and technical leadership. For instance, Albrecht is a NTCA Training & Education Committee member, serves on the NTCA Thin Porcelain Tile Subcommittee, and is a Texas State Director for NTCA. NTCA membership – J&R Tile is a Five Star Contractor – has become an essential component in developing partner alliances with training and educational support, manufacturer cross collaboration and recruitment efforts deeply rooted in CTI and ACT-credentialed individuals. Today, J&R Tile’s impressive roster of work encompasses commercial, design build renovations, architectural support and specification consultation, pre-construction consulting and installation, LTPT, ultra-compact surfaces, specialty glass mosaics, moisture remediation, plaster and mud work, concrete toppings, surface prep, and underfloor heating, as well as high-end residential. Why does this Woman Owned Small Business consider itself “The Most Qualified Commercial Tile Contractor in Texas,” and THE resource for large and complicated projects in Texas? For starters, J&R Tile’s workforce is 100% qualified through industry-recognized CTEF Certified Tile Installer (CTI) credentialing and ACT certification. Since May 2015, it has trained and elevated seven CTIs, and two CTI professionals have achieved ACT Certification. Based on the CTI/ACT curricula, J&R Tile is currently developing several apprentice setters as well. J&R provided technical expertise for substrate testing and to select and install the proper bonding agents for this Neiman Marcus project, that called for installation of plastic-sheet-mounted mosaics. The company prides itself in offering creative, technically sound solutions to large technical challenges that help keep projects on schedule and under budget. Part of this comes from collaboration on pre-construction design and consultation from the project inception, and providing job-specific warranties and maintenance case studies on every project. Part of the solidity of the company comes from the way it trains and regards its staff and full-time professional setting teams. The corporate strategy revolves around training, education, craftsmanship and quality installation. That includes a raft of weekly accountability and training measures for the company: weekly technical training and demonstrations at the company headquarters/training facility; weekly feedback from professional staff about products; weekly TCNA Handbook Training Topics aligned with product solutions, and an open forum for staff collaboration on new products and methods. The company doesn’t pay lip service to the importance of training, either – it provides paid initial and ongoing training and incentives in the form of goal-structured project management led by CTIs and ACTs as superintendents/installers, and incentive-based profit sharing for all staff based on goals achieved. There are other corporate benefits as well that fully support J&R team members: full time medical, dental and company-provided life insurance, and retirement plans with company matching contributions. In addition, the company provides all tools, truck and fuel for projects. J&R Tile was tasked with massive demolition and replacement of 12 restrooms at Sea World in a three-week timeframe. The company conducted video documentation of substrate testing to substantiate technical recommendations prior to the start of the job. The contractor navigated the short time frame and worked around visitors and customers in the park, using rapid-set technology to meet the goals for the job. J&R Tile employs some innovations that helps it uphold its reputation for excellence: real time, cloud- based project documentation and feedback from CTI/ACT professionals; architectural outreach with strategic partners throughout the region through available CEU credits and demonstrations, and showcasing J&R Tile’s professional installers and projects on social media and through a robust website (www.jandrtile.com). J&R’ s involvement doesn’t stop with its support of internal staff and the architectural design community. It’s invested in raising the excellence of the local industry tile community – as well as giving back with community outreach that also supports the future of the tile trade. J&R arranges for ACT-certified setters to work with youth in growing interest in construction trades through involvement with Boy Scouts, PACE Program (Builders Exchange of Texas), the Pre-Employment Architectural and Construction Exploration Program, and TCCI (Texas Construction Career Initiative). J&R Tile was faced with a costly demolition of 62 dormitory restrooms at St. Mary’s University in San Antonio, with extended down times. This fast-track project required the work to be completed in phases, where one floor at a time would be completed. Phasing was important due to students occupying the floors above and below where the renovations were being done. The major scope of work was the demolition and replacement of all outdated shower/tub units. The shower valves were replaced by the plumbing contractor, and the existing base and entry to restroom had an outdated tile curb to be replaced. J&R Tile coordinated with the general contractor to have the plumbing contractor stub out for the thickness of the new tile. New 4 1/4” x 8 1/2” tile was installed on existing 4 1/4” x 4 1/4” wall tile. The Affordable Care Act: is this the calm before the storm? By Pat O’Connor, Kent & O’Connor, Washington, D.C. There is a lull of sorts in Obamacare angst these days. No momentous Supreme Court decisions in the offing. No serious repeal efforts in Congress. It even seems to have faded on the campaign trail. Does this mean the fear and loathing of the ACA/Obamacare were overblown? No, probably not. These numbers may simply reflect the fact that health insurance continues to be a valued benefit to attract and retain talented employees. Companies still want to maintain coverage despite the costs and complexities added by the ACA. These numbers also do not look at the extent to which the ACA has skewed business decision-making. Some companies have refrained from hiring additional people to stay below the 50-employee threshold or cut worker hours to lower the number of full-time employees. Keeping the headcount low through outsourcing is a prevalent and often necessary small business strategy that can be expected to continue. The impact on individual companies or the economy as a whole is difficult to measure, but unquestionably this has added to the anxiety over Obamacare among small businesses. Yet, on the whole, has the business community simply adapted? Are we now on a smooth path after a bumpy start? Not likely. For one thing, the government has not actually assessed employer penalties, but they will begin doing so very soon. Even though the vast majority of subject companies do provide health coverage, we have yet to see how the penalty process will play out for companies with insufficient or unaffordable coverage. For implementation of the penalties, we are relying on the IRS to reconcile the millions of reporting forms that were only recently submitted by employers, insurers and exchanges. No doubt, more rough patches can be expected when penalty notices hit the streets. Nor are the ACA marketplaces anywhere close to being stable. Conversations about sizeable increases in 2017 insurance premiums are already starting. Many small businesses rely on the individual exchanges as a means for ensuring their employees have access to affordable coverage. Other small businesses would like to see the SHOP (Small Business Health Options Program) exchanges live up to their intended promise as a source for affordable employee coverage for small companies. This is unlikely, however, without greater stability in the individual ACA exchanges. Last year, we saw half of the non-profit health co-ops on the individual health exchanges fail. This spring, the nation’s largest health insurer, United Healthcare, announced they will leave all but a handful of the nation’s exchanges in 2017 due to expected losses of more than $650 million on its 2016 ACA plans. The United Healthcare announcement is revealing. Unlike the failed nonprofit co-ops last year, many of whom charged unrealistically low premiums and failed to apply prudent business practices, United Healthcare approached the exchanges with great caution. The for-profit insurer mostly sat out the first year to gain a better understanding of the risk profile of exchange enrollees so they could more accurately price their policies. With shareholders to answer to, United took careful measure to avoid any losses. Some see the United Healthcare departure as the canary in the coal mine, a harbinger of more troubles ahead for Obamacare. Others downplay the significance. At the very least, we know competition will be severely limited in about 10 states, mostly in the South and the Midwest. Most notably, unless a new entrant appears, Oklahoma and Kansas will have only one insurer selling plans on their exchanges. Other factors will impact premium costs on the ACA exchanges in 2017. The ACA established temporary risk-sharing and risk corridors to assist insurers offering ACA-compliant plans so the insurance companies could charge lower premiums and attract more enrollees. These subsidies to the insurance companies will end January 1, 2017, placing even more upward pressure on premiums. Fortunately, employer-provided insurance markets experience much greater stability than the ACA marketplace. Nevertheless, upheaval in the ACA markets can spill over to the broader marketplace, causing uncertainty and higher costs. We will know soon enough whether 2017 is indeed the cliff that sends Obamacare tumbling or just another painful step in the evolving drama of health care reform. (1) Trends in Health Insurance Enrollment, 2013-2015, published in Health Affairs, v. 34, no. 6, June 2015, p. 1044-1048. (2) Transamerica Center for Health Studies, Survey: Companies Navigate the Health Coverage Mandate, December 2015, www.transamerica centerforhealthstudies.org. Pat O’Connor is a principal in Kent & O’Connor, Incorporated, a Washington, D.C.-based government affairs firm. A veteran of Capitol Hill with particular expertise in health, transportation and the environment, O’Connor works with trade associations and companies to find workable solutions to the most pressing regulatory and legislative issues. For more information, visit www.kentoconnor.com or call 202-223-6222. I have a bathroom that was just retiled: floor, tub and shower walls, using ceramic tile, and a polymer-modified, cement-based, sanded grout with a stain-resistant additive. There are a few areas where the grout has set up like powder and can be rubbed out. I’m looking for some reasons that could cause the grout to set up like powder and fall out. Selection, mixing, installation, curing, cleaning and environmental conditions at the time of grouting all play a critical role in the success of the installation. There are many potential reasons for this to have occurred. Most are related to improper preparation, mixing, proportioning of powder and liquid, slaking, re-tempering or curing of the grout. Environmental conditions at the time of grouting and curing such as exposure to hot air flow, direct sunlight, a very dry atmosphere or freezing could also cause this condition to occur. Over-washing of the grout immediately after packing the joints or cleaning cured grout with acidic cleaners may contribute to this problem. In some instances, a very highly-absorptive tile or foreign material in the joints may cause rapid dehydration of the grout that may lead to this happening. Without knowing the particulars at the time of your grout installation it is not possible to narrow it down further to a specific cause or group of causes. That is very helpful. What would the needed fix be regarding the powdery grout? Does it have to be removed and re-grouted? It may be possible to slowly rehydrate the grout by misting with water and covering with kraft paper for several days and re-misting as needed. However, since an additive other than water was used to mix the grout, I would contact the grout manufacturer and ask their opinion regarding rehydration. Otherwise, it will likely be necessary to remove the grout. When removing the grout, take care to not chip the edges of the tiles or damage the waterproofing system under the tiles. – M.H. This is actually a tool question. I am looking to purchase a snap cutter and wet saw capable of handling larger format tile (up to 48”). Any suggestions? It certainly is important to have the right tools for the task at hand and to invest in quality tools that will perform well for a long time. There are many manufacturers that produce the type of equipment you are looking for. While I can’t provide a recommendation for a particular make or model, I can give you a listing of some of the tool and equipment manufacturers that currently sponsor Partnering for Success and are Workshop/Educational Program Trailer sponsors. Some of them make the type of equipment you are looking for. I recommend you take a look at what these manufacturers have to offer and talk to other craft persons that may have experience with similar tools. It doesn’t appear that you are a member of the NTCA. As a professional tile contractor you will find membership to be extremely rewarding and can get in on the effort to achieve Qualified Labor status and grow your professional potential. There is more information at www.tile-assn.com or you can contact me for information how to join this amazing group. Thanks for the contact and good luck with your research!